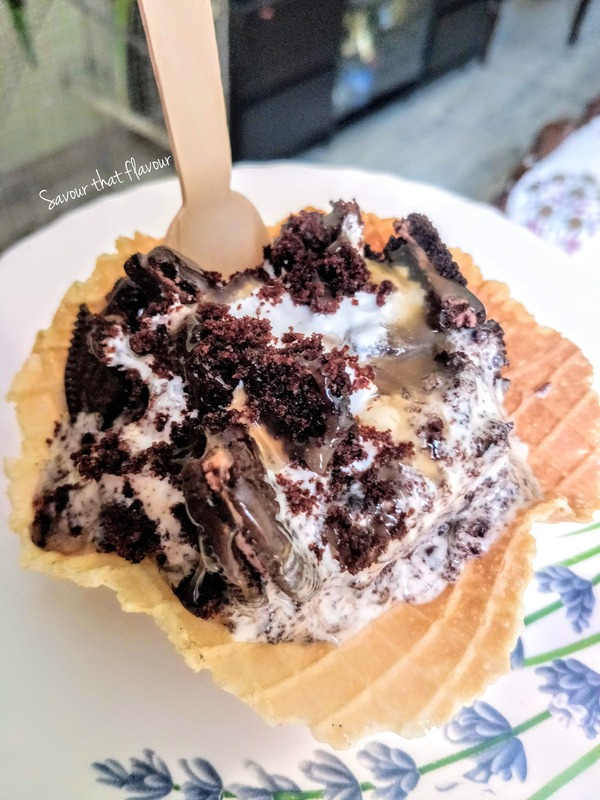 The quality of ice cream and the generosity of toppings with excellent fresh waffle cup made the Sunday ultra rich in taste, absolutely loved it! This one I tried was cookie crumb with Oreo and caramel! Loved it!! Would highly recommend people to drop by Havmor Ice Cream Parlour right away.